A combination of essential amino acids with D-aspartic acid sustaining high levels of free testosterone. 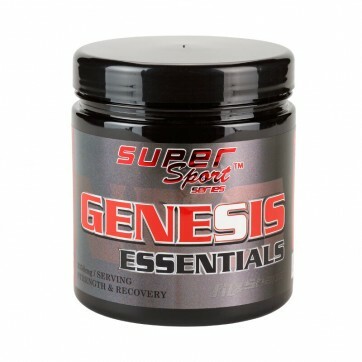 Instant essential amino acids that give you energy and strength before workout and help you recover faster after it. A great combination of amino acids, which gives you energy and helps you recover faster. The combination of L-Tyrosine and L-Ornithine is very suitable for power athletes whose bodies release more ammonia and free radicals. Using these two amino acids, the human body frees itself of those unnecessary elements and restores tired muscles faster. D-aspartic acid is a proven stimulant of the synthesis of testosterone. If taken in large amounts, the product could cause abdominal pain. Our formula, however, is perfectly balanced in order to avoid these unpleasant side results. Enhances protein synthesis and builds lean muscle mass. Speeds up recovery after exercise. On workout days - 30-45 min before workout and one after workout. On non-workout days - 1-2 servings per day. 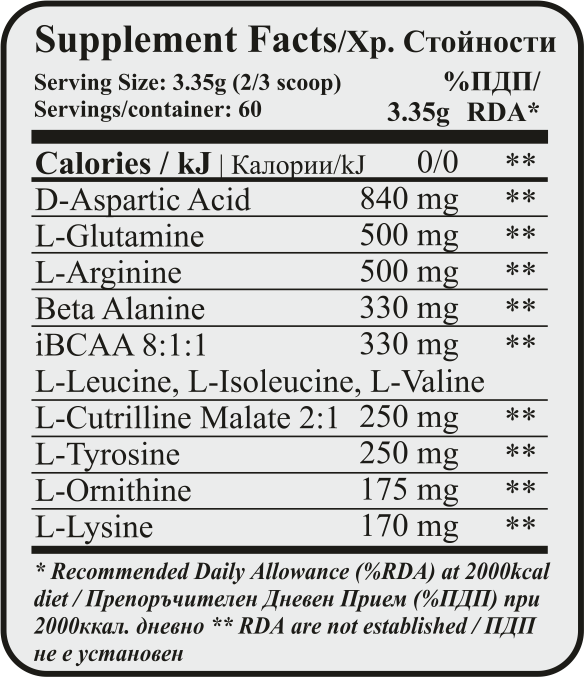 D-aspartic acid, L-glutamine, L-arginine, Beta alanine, L-leucine, L-citrulline malate, L-tyrosine, L-ornithine, L-lysine, L-isoleucine, L-valine.